Smooth linen finish provides excellent print contrast. All the benefits of 25% cotton paper with the rich, distinctive look and feel of natural linen. 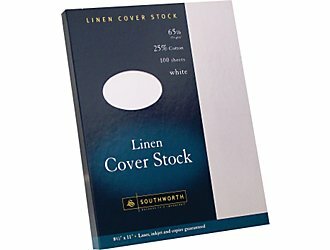 Fine Linen Paper adds subtle elegance to letterheads, reports, presentations and other documents.